In this present era, technology is playing an important role and it is ruling the whole world. The real perspective is that reliable technology has bought important changes in our lives. Yes, the connectivity has been improved a lot and it is due to the several elements such as the smart devices, wireless communication, sensors, and the cloud-based computing system etc. The IoT platform companies have taken over the overall control and management of the operations so that everything goes in a flexible manner. It automatically led to the undertaking of the tougher projects to deal with. Generally, the Internet of Things enables the network, smart devices including the users to get connected with the internet through a well initiative identifier. It totally works on the embedded technology in order to communicate with the external environment. 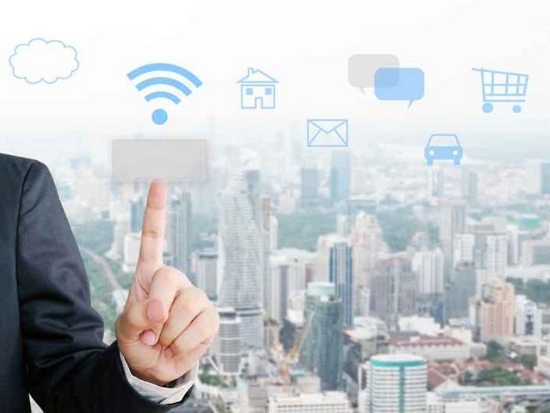 A recent report exclaims that about twenty-four billion devices get connected to the IoT by the year 2020. What are the major pillars of IoT? Generally, the app developers have to know the fact that the Internet of Things rests upon the major pillars such as the Network, the major things in themselves and the cloud etc. Generally, the network performs the same function, where the router does in inter-connecting the network to the device. The devices are linked to the cloud and the data is received from the infrastructure located at the data centers. An important fact is that the things are organized by the exclusive software and it provides the data stream, where the overall management and control takes place. Here, the overall things act as the Internet gateway, which is the most important one. It also helps in the other device communicating with the aid of a single communication protocol. In most of the cases, the processor is directly linked up to the Internet of Things; the operating system is also embedded. Cloud is a server which acts as a security where it safeguards the confidential data too. Before developing an app it is important to undergo the below steps. The first important step is to select an appropriate platform for the overall development process. On the other side of the coin, it should support the IoT applications along with its components. You should not consider the unnecessary exposures for an authenticated platform. There is no any necessity to start anything from the beginning stage. Typically, the Internet of Things has limited services and its scope is widened one. The industries are inter-connected with the devices and the network to offer promising solutions. The diverse set of industries such as the healthcare, transportation and the manufacturing are inter-connected. You can find several ways for the further enhancement in connecting the things. Mainly for the development of the apps for the Internet of Things, it is important to segregate the different services from the Application Programming Interface. The major reason is that the app should run smoothly both in the app and the web desktop. Managing of the IoT apps helps to provide good opportunities. It is important to get a deeper knowledge about the various levels of the IoT apps. There are four different layers such as the devices, ingestion tier, analytics area, and the end user. The devices should be always inter-connected. In the ingestion tier, the software should receive the data. In the third layer, the overall data is processed with the aid of the analytics area. An app developer should not get compromised in the factors of the speed and the quality. Then mainly you should concentrate on transforming the ideas and to offer a unique stable working prototype. Then you can move on to the success level. Generally, the IoT based apps should be scalable and it is a trending concept in this era. It allows the app to remain a lighter one even after a longer period of time. From the above points, you have an idea of the trending concept of the Internet of Things. It is expanding and also reached the peak level where the access of the data is a reliable one and also getting connected have become cost-effective.